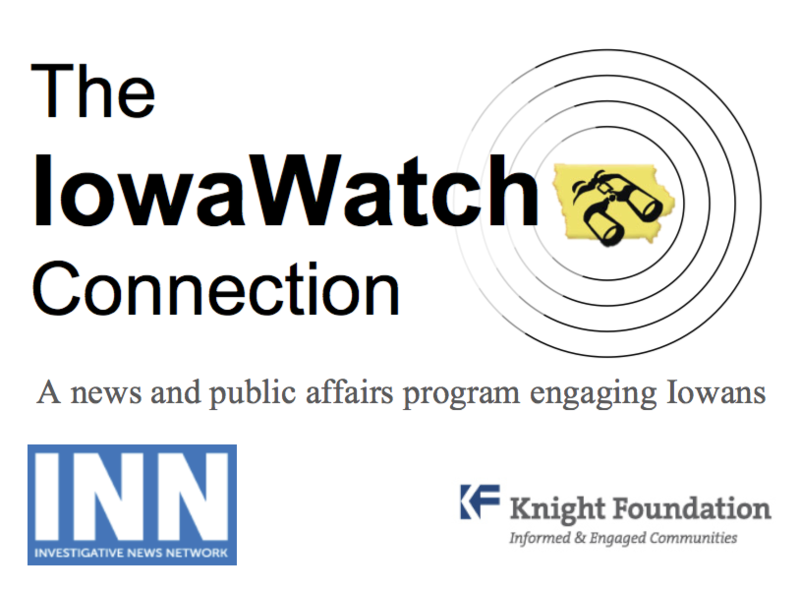 The IowaWatch Connection is a statewide audience engagement program under development by The Iowa Center for Public Affairs Journalism-IowaWatch. The program was made possible through a $25,000 John S. and James L. Knight Foundation grant, awarded through the Investigative News Network. In addition, the grant will allow IowaWatch to host public forums in select cities across Iowa to explore issues that have impact on Iowans. Upcoming forums include a forum in Des Moines and one in Iowa City to air the IowaWatch documentary “Breaking the Cycle: Meth Addiction in the Heartland” followed by a panel of experts to discuss how children are affected by meth addiction in Iowa and what possible solutions could be. Check back here for updates about the IowaWatch Connection. First place: Farm and Business reporting, for a report on foreign farmland ownership in the Midwest that featured a Midwest Center for Investigative Reporting story on that topic. First place: General Reporting, for a report on Iowa’s capacity for future rail traffic. The IowaWatch Connection caught up with former Sen. Tom Harkin recently for a wide ranging interview about the influence of money, social media and other things that go with public service, plus work done at the Drake University institute bearing his name.
? The mix of University of Iowa students but also non-student, would-be homeowners who want to live in or near downtown Iowa City is out of balance, city housing and urban planning experts say. This IowaWatch Connection podcast takes you to people trying to change that. Read more: This IowaWatch report explains the problem in depth.